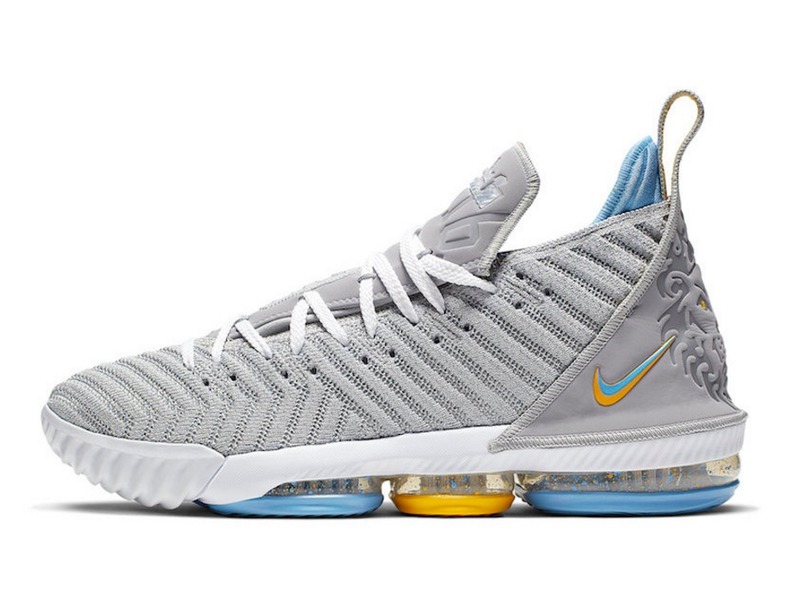 Nike will be releasing yet another "Lakers" themed colorway of LeBron James' 16th signature sneaker, the Nike LeBron 16. However, the familiar purple and gold is nowhere to be found, as the upcoming colorway serves as a nod to the Minneapolis Lakers. 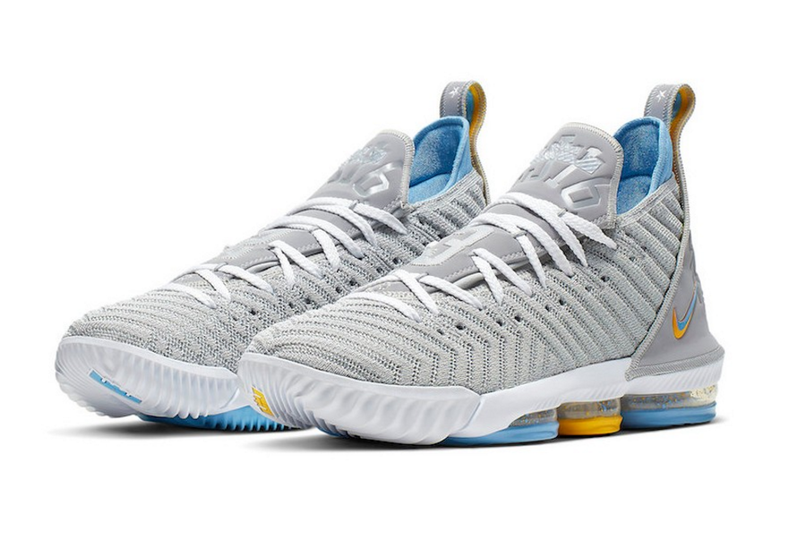 The "MPLS" LeBron 16 is built on a “Wolf Grey/White/University Blue” color scheme, featuring splashes of gold throughout just like the Minneapolis Lakers' classic uniforms from the 1960s. 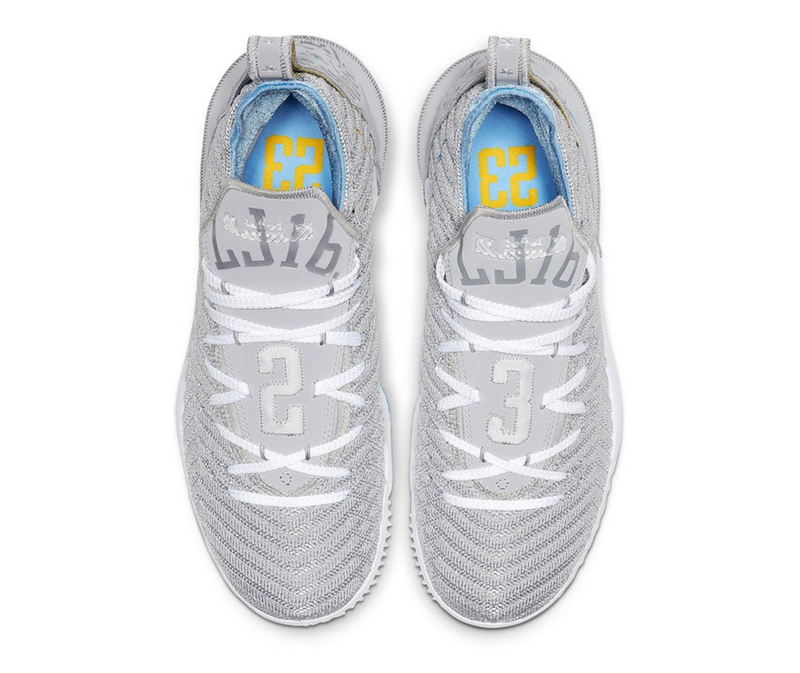 White handles the laces and midsole, while a tonal, grey "23" is displayed across both tongues. 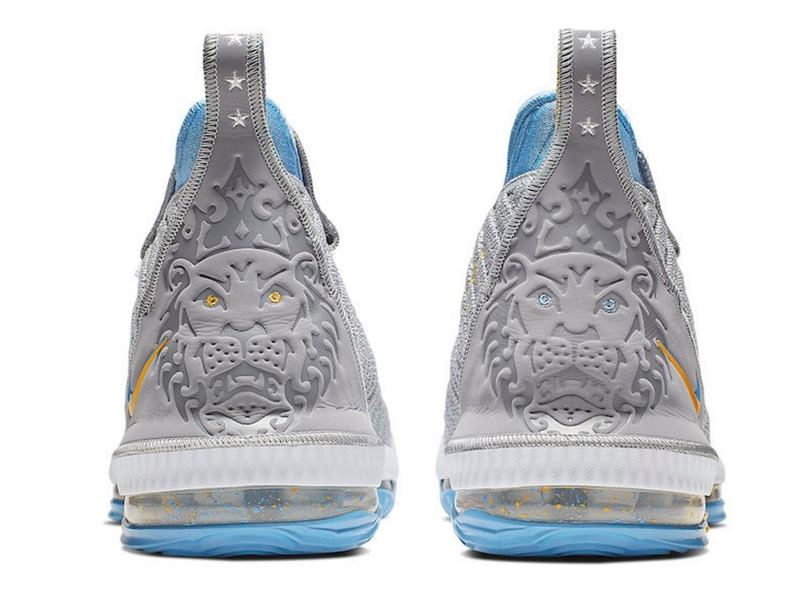 Additional details include suede Lion logos on the heel and "LJ16" stamped on each tongue. 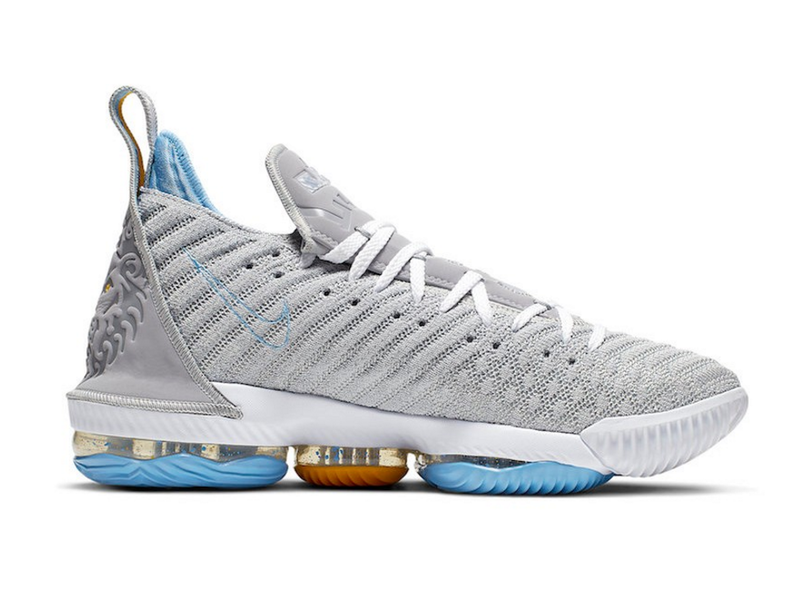 The kicks, priced at $185, are headed to Nike Basketball retailers on April 19.